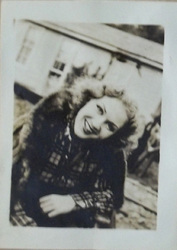 Welcome to Grace Bradley Remembered, a website dedicated to preserving the memory of beautiful actress Grace Bradley. Or as many lovingly knew her: "Mrs. Hopalong Cassidy". Grace Bradley was born in Brooklyn, New York in 1913. 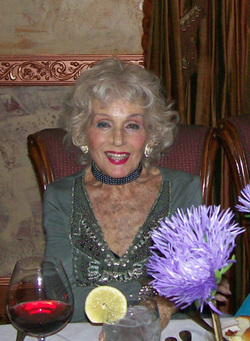 She passed away on her birthday in 2010 at the age of 97. In 1933 Grace went to Hollywood to pursue a career in films after working on stage and as a model. She met the man of her dreams in 1937, married him three weeks later and lived happily ever after. This website is a celebration in pictures of this little known but fondly remembered actress. Check back often, I will be adding more items as I find them. 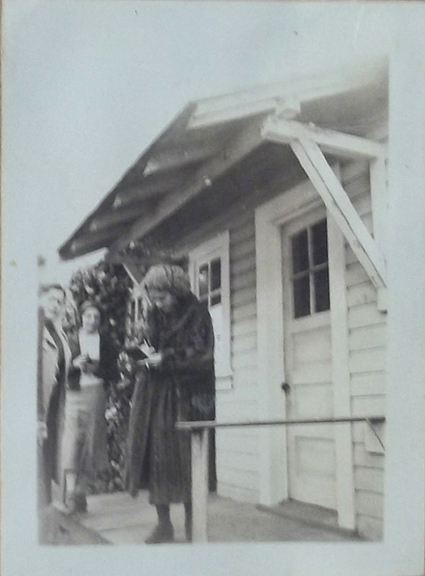 I want to thank Laura Bates for sharing some very rare and unusual photos of Grace with me. And check out the links page for my contact info, websites about William Boyd and the Hopalong Cassidy Festival held every May in Ohio. The above three photos are from Grace's Aunt's scrapbook and have never been seen before. 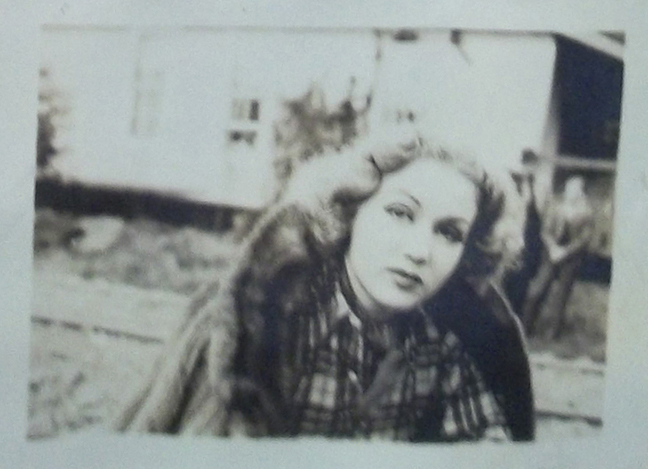 They are from the set of the 1937 film Roaring Timber.